Melissa “Mighty” McMorrow (9-4-3, 1-KO) is look for redemption. Having fought her heart out in a title fight she is certain she won against the more experienced Mariana “Le Barbie” Juarez (39-7-3, 16-KOs) for the WBC International Female Super Flyweight championship, McMorrow is determined to find vindication. She will be fighting 26-year-old Mexican fighter, Jessica Chavez (20-3-3, 4-KOs), in the hopes of doing just that, and in the process win the vacant WBC International Female Flyweight title. Even though she will be going back to Mexico to fight Chavez–having won a title before in someone’s backyard, when she defeated the always dangerous Susi Kentikian (33-2-0, 17-KOs) for the WBO Female Flyweight title, she is certain if she puts a little something more into her fighting she will emerge victorious on August 23, 2014. Melissa was kind enough to take some time out of her schedule to share an exclusive Q and A with Girlboxing readers. Here’s what she had to say. 1. As a boxer, you’ve been showing grit, determination and an explosive fighting style ever since you began your professional career in 2008. In preparing to fight Jessica Chavez—who at 26 is not only several years younger, but has an excellent pedigree of tough opponents—what are you doing to get into physical and mental fighting shape for your upcoming bout? I am doing what I always do. I am running, sparring, and training hard for the fight. I have always done very strenuous cardio work and this time is no different. 2. Training is everything in boxing! What you focusing on in your training to counter Chavez’s obvious talent and high level of skill in the ring both offensively and defensively? I focus on my game and the techniques and tactics that work for me. I don’t worry too much about my opponents. Once I get into the fight, I will cater my fight to what Chavez brings, but in training, I work on making sure my best weapons are sharp. Lately, I have been working on giving better angles so I can set up effective hard shots. A tough Melissa McMorrow applying constant pressure to La Barbie Juarez as they battled for the WBC Female Superflyweight International title, February 22, 2014. McMorrow lost 94-96 on all three cards. The decision for the Juarez fight was very frustrating, but it motivates me to train hard for this next fight. I watched the fight over and over and still feel like I landed the cleaner more effective punches, had better defense and better ring generalship, and more effective aggression through the majority of the fight. I’m still mad about the decision so I am even more determined to leave no doubts in the upcoming fight. This fight with Chavez means a lot to me because I see it as a chance at vindication for the last one. 4. After a career that saw you fighting two to four fights a year culimnating in your defeat of Susi Kentikian to win the WBO Flyweight title and your title defense against Yahaira Martinez by TKO in the 9th round, you ended up losing the belt because you didn’t defend it during the proscribed timeframe. What can you tell us about that situation, your new promotion team, and what you hope to achieve starting with the Chavez fight? The belt situation was unfortunate. I signed with a promoter in Germany who offered me a very good fight contract. I was very excited to fight abroad especially because Europe has some top boxing talent. I fought 2 fights under the promoter but fights after that never materialized. I was offered many fights but when I presented them to the promoter as options, I was told that they had different plans for me. This lasted a year after which I decided to walk away from the contract because it was not in my interest. This cost me the belt because without fights, the time frame for defending the title was passed. Since then, I have been looking for new beginnings. I was hoping to make a strong statement with the fight with Juarez by winning her title. But now I have a new opportunity to do so by beating Chavez in a weight class that I am more comfortable [in]. 5. Across the divisions in the pro ranks of women’s boxing, fighters seem content to keep going well into their 40s. At 33, what do you see ahead of you with respect to your career as an active fighter? I think that women differ from men in that they continue to be strong and maintain endurance longer in to their lifespan. Regardless, I am not one to make definitive plans about my future. I am open to what my life brings me…. that is how I even got into boxing in the first place. When I started, I told myself that I would box until it no longer made me happy. That hasn’t happened yet, but I think when it does it will be very clear to me that its time to move on. At this point, there are still a lot of fights that I would love to take. 6. 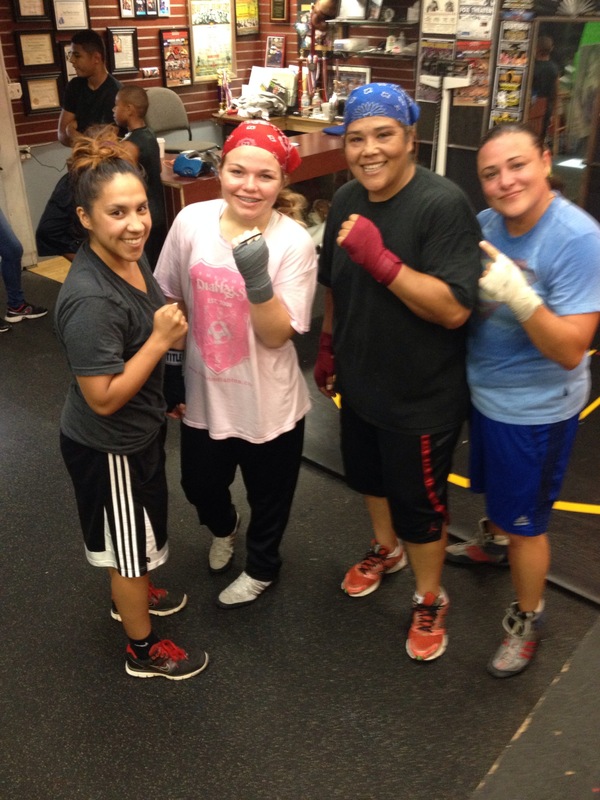 Aside from your efforts as a pro boxer, you’ve been lending your considerable talent to coaching and mentoring female amateurs fighters in Blanca Gutierrez’s Beautiful Brawlers program. What can you tell us about that and what you feel you can offer the girls? I think the best thing I can offer the girls is a tangible example. That is why I show up. When I was an amateur, there were very few women in the sport. It was hard to picture what a skilled female boxer was because I had never really seen one. I try and make sure that the girls have a positive example that they can follow so that they learn when they are young that you need to put the work in. 7. Having been in the pros for over six years, what changes have you seen in the sport since you started in 2008? 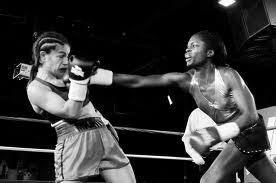 Do you feel the addition of women’s boxing to the Olympics in 2012, is having a positive impact on the sport? I started fighting as a pro in 2008 but I did compete in the amateurs since 2005. The amateur scene is completely different now because there are a lot more fighters. In addition, the program has been more formalized because of the path to the Olympics. In 2006 and 2007 it was confusing what the requirements were to even go to the National tournament. The program lacked depth, so if you did not take the top spot at the Nationals there was nothing for you. This caused people to quit or turn pro because they could not find fights otherwise. There was a lot of turnover and, consequently, a lack of people really sticking with the games and really learning solid boxing skills. This has all changed because of the Olympics. There is now a very good reason for girls to develop their boxing skills for a shot at the Olympics. There are now a lot of young girls in the sport. It is very exciting! 8. 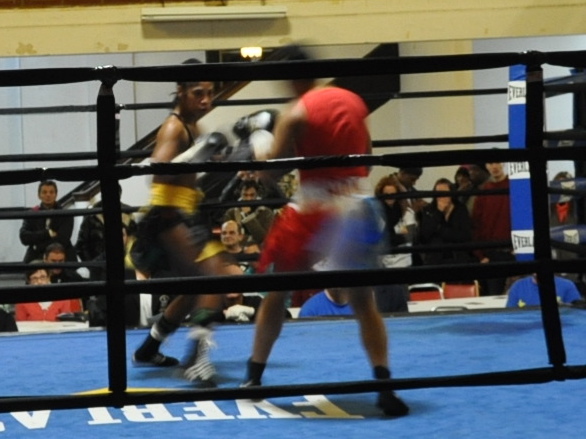 One of the biggest frustrations for female boxers in the United States is the lack of media coverage of their fights. 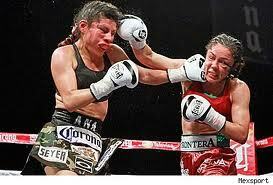 Just across the border from you in Mexico, women’s fights are routinely broadcast on Mexican television, sports channels and satellite outlets. What do you think has to happen to get the networks to “wake up” and start putting female fights back on television? I think we need to find the right people at the networks to talk to. When I tell people that I am a boxer, they are immediately excited about it. This issue is not that there is no market. The product just has not been brought to the market. At this point, people are waiting for big promoters to sign female talent to showcase it. I think this would be very helpful, but creating contacts with TV outside of major promoters is also a viable option. 9. Whenever your name comes up in boxing circles, there’s a collective nod as if to say, “yep, she’s a real boxer.” What do you hope to achieve in the sport – and where do you think it will take you once you do decide to hang up the gloves? In order to compete in a sport like boxing, you have to love it. It is very difficult to train as I much as I do, and to look after your weight, etc. Sometimes I ask my self why it is so important to me. It sometimes seems really silly. But you can’t help what you love and sports of all kinds have always been that way to me. Sports were always the thing I was best at and loved doing the most. I strive to be good at whatever I do and I hope that when I’m done boxing, a little piece of me will stay with the sport and people will remember who I was. I have no idea where it will take me when I hang up the gloves. Boxing has been a part of my life for the last 10 years so I don’t even remember my life without it, but I think I will always be a part of boxing in some way. As Sonya “The Scholar” Lamonakis (9-1-2, 1-KO) and Carlette Ewell (15-7-1, 9-KOs) get ready for their heavyweight IBO title bout this coming Saturday, August 2nd at the L.B. Scott Sports Auditorium in Philipsburg, Sint Maarten, Martha “The Shadow” Salazar (12-4, 3 KOs), long considered a “fighter’s fighter” is waiting in the wings with the hope that she can take on the winner. Girlboxing had the opportunity to pose some questions to Martha Salazar, a former kick-boxer who took to the professional boxing ring in March of 2001. 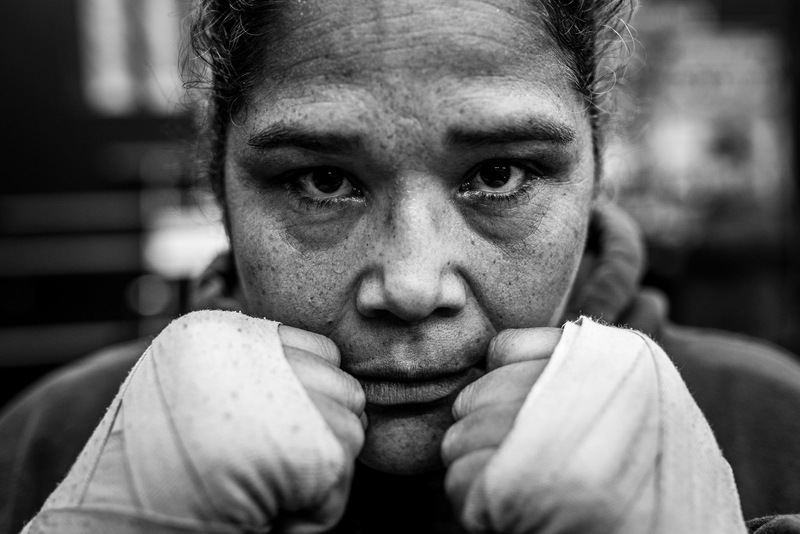 Now at 44, having had a few breaks in her career, Martha hopes to continue in the sport she loves, both as a fighter pushing to gain recognition and a shot at another title fight, and as a mentor and coach to the young amateur women of Beautiful Brawlers Boxing who are striving to become the next generation of female boxing champions. Here’s what Martha Salazar had to say. 1. When female boxers in the heavyweight division are discussed, your name inevitably comes up. You are considered one of the most skilled in the sport and your title wins were strong showings–not to mention the very close losses. With a career that began in 2001, you’ve had a chance to see the sport change considerably — and gain legitimacy with its inclusion in the London 2012 Olympics. What are your aspirations for your career at this point? There are three aspirations I have for my career. One, to become the WBC and the IBO world champion. The second to be in the women’s boxing hall of fame as one of the best heavyweights in the world of boxing. Third, to keep sharing the knowledge of boxing as others have shown me. I want to keep inspiring young people to reach their goals in the sport of boxing and in life. 2. Your last fight was a six-rounder against Sonya Lamanokis in April of 2013. You put on a strong showing in a fight with three-minute rounds, an almost unheard of event these days. What is your take on the controversy surrounding that bout and would you consider a rematch with two-minute rounds? 3. One of the most intriguing aspects of female boxing is the rise of young female amateur fighters. 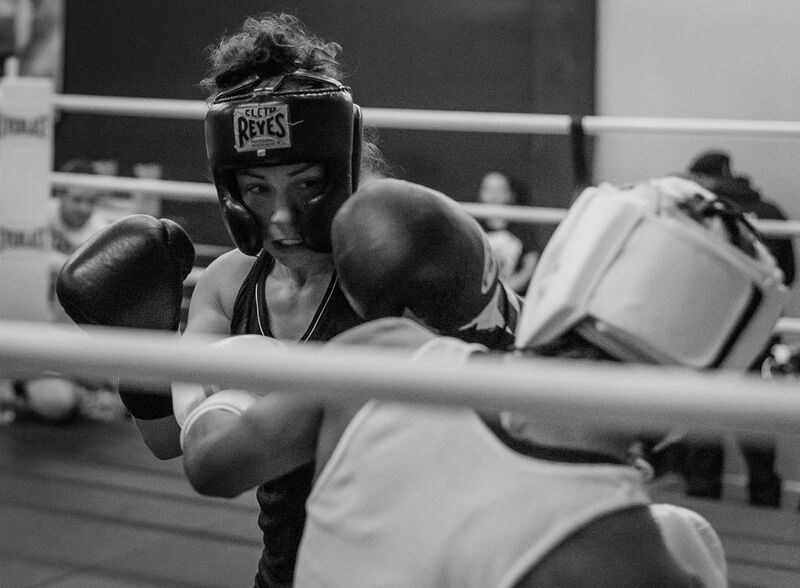 You’ve been very involved in working with Beautiful Brawlers Boxing — Girlboxing readers would love to know more about the organization and your part in it. Beautiful Brawlers was created to provide a stage for the young boxers to shine on. 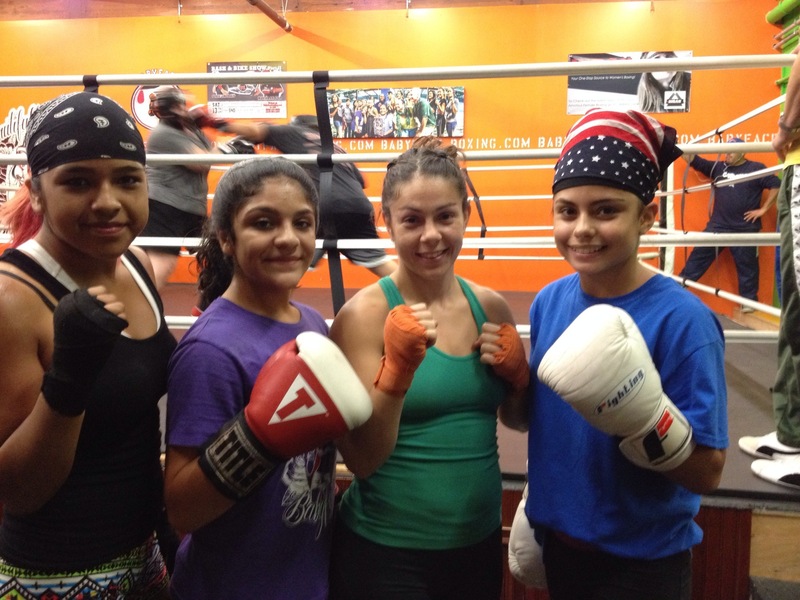 Our program consists of sparring and support for all female boxers no matter what age or experience. We mentor, coach, train and provide a safe sparring environment for any boxer who walks through that door. We accept everyone for who they are. We create an environment of empowerment and strength for the younger female boxers. Veterans and world champions such as Me, Eliza Olson, World Champ Melissa McMorrow and more teach technique and give guidance. There are also plenty of sparring opportunities. Girls come from all over California to spar with the best. It’s so much fun. Boxing brings us all together. 4. Having begun your career in martial sports as a kick boxer before debuting as a boxer in 2001 — you’ve been a professional for a long time, and while you are entering your mid-forties, current WBC boxer Alicia Ashley is still going strong at 46. Do you feel you still have it in you to continue professional boxing and if so, what can we expect from you over the coming year or so? At 44 years old I still feel that I have it in me and continue in the sport of boxing. Expect me to have to fights one for a world title and the rematch with Sonya Lamonakis. If she wants it. 5. When you started in the sport, women were still appearing on ESPN and Showtime and on PPV — and now the drought of media opportunities for female boxers in the United States seems almost permanent. Not so in Mexico, Argentina, South Korea and Germany to name a few countries. What do you think has to happen to bring the sport back into the boxing’s mainstream in the US? We need promoters to put more women’s fights on their shows and for us women to keep pushing as a group the movement of women boxing. PERIOD. 6. As the Olympic Games in Rio loom — giving American amateur boxers a second shot at repeating their medal winning performances, from your vantage point with Beautiful Brawlers, do you feel enough is being done to support these young athletes? What, in your view, are the things that need to happen to help further publicize and get the public behind these amazing young women? I believe through the Beautiful Brawlers we are constantly helping girls reach their goals. We have a few National champions that trained and sparred with us before the Nationals and were successful when they competed. We have one Olympian Beautiful Brawlers Champion – Queen Underwood, when we asked her if she would participate on the show she said she wanted to take part because it was an all-female show. I believe her being the main event on our last show brought our event to a whole new level. She was a huge role model for these younger boxers. She is an incredible athlete who gives back to others. We as a group share knowledge and that philosophy: to give back so that the younger boxers get better and better, and now that is happening. We have a very good USA Boxing program for women and some train at the Olympic Training Center in Colorado. Females are now given opportunities that have never been given before. These baby steps lead into much bigger things. I do believe that Claressa Shields should have more endorsements and should be given more exposure because she won the Gold medal and she is a beautiful young lady who deserves the credit. Shows like the Beautiful Brawlers give these champions a place to shine because we match the best against the best. For me, I want to fight and win a World Title. I want to legitimize the Heavy Weight Division by showing there are very skilled boxers in our division. I will always give back to the girls what boxing has given to me. Boxing has always been my passion and it will always be. Many thanks to Martha Salazar for sharing her thoughts with us! 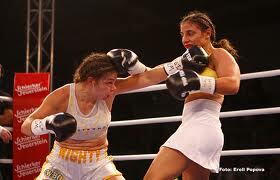 Video of Martha Salazar in her WBC heavyweight title bout versus Vonda Ward from February 10, 2007. Vonda Ward, at 6’6″ had a large height and reach advantage over the 5’9″ Salazar who held her own throwing a succession of excellent overhand rights, in a well fought 10-round battle. Ward won a split-decision, 93-97 x 2, 95-95. You be the judge! Reminder! Great Women’s Boxing on 7/30. Mcleod-Wells v. McMorrow & Nava v. Torres!! Reminder! Great Women’s Boxing on 7/30. Mcleod-Wells v. McMorrow & Nava v. Torres! In a rematch of their 6-round fight from this past February which had Gleason’s own Keisher “Fire” McLeod Wells (4-1, 1KO) on top — Fire will be facing California’s Melissa “Mighty” McMorrow (5-2-3) in the ring on Saturday night, July 30th, only this time in an 8-round bout with the New York State Flyweight Championship belt on the line. McMorrow picked up the belt in a split decision against New York’s Eileen Olszewski on June 24, 2011. The bout, part of Lou DiBella‘s Broadway Boxing series also comes with DiBella’s commitment to feature at least one women’s bout on all of his future fight cards. This is welcome news for the sport of Women’s Boxing and Girlboxing sends a huge shout out to the DiBella Entertainment organization for their continued support! The fight will be held at Aviator Sports & Event Center @ Floyd Bennet Field, 3149 Flatbush Avenue in Brooklyn New York. Tickets are still available and can be purchased by contacting Gleason’s Gym (718-797-2872 – credit card accepted). Pricing for tickets: $55 (General Standing), $75 (Seating), $125 (Ringside), $1,500 (VIP Table: 10 persons/Table). Where can you find Women’s Boxing at its best you ask? Try flying down to the Metropolitan Center in Tuxtla Gutierrez, Chiapas for the chance to see the rematch between Jackie Nava (24-3-3, 11KO’s) and Ana Maria Torres (25-3-3, 15 KO’s), arguably on everyone’s top ten list of women fighters these days. Thankfully, the fight will be broadcast on Mexican television, which means we get a shot at seeing the fight on YouTube — it’ll also likely be carried live on a video stream so look for it if you want to see this non-stop action fight live. Two Great upcoming July Women’s Bouts from Gleason’s Own! Two great female boxer’s out of Gleason’s Gym will be showcasing their considerable talents in the ring this month! 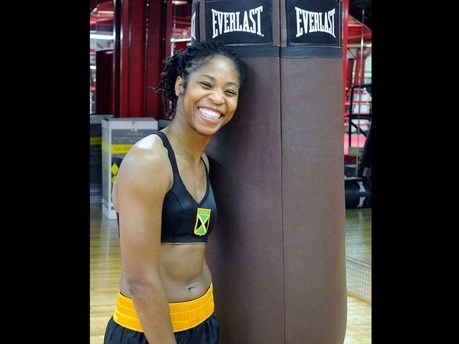 Fresh off her stint filming the upcoming Mexican reality TV show Todas Contra México, Keisher Mcleod-Wells (4-1) will be returning to the ring for none other than an eight-round New York State Flyweight Title Championship bout on July 30, 2011. Fire is taking on the current NYS Champion, Melissa “Mighty” McMorrow (5-2-3) in a rematch of their February 9th bout. The event is promoted by DiBella Entertainment and will be held at The Aviator Sports & Event Center @ Floyd Bennet Field, 3149 Flatbush Avenue in Brooklyn New York. Ticket information for this championship event can be purchased by contacting Gleason’s Gym (718-797-2872 – credit card accepted). Pricing for tickets: $55 (General Standing), $75 (Seating), $125 (Ringside), $1,500 (VIP Table: 10 persons/Table). 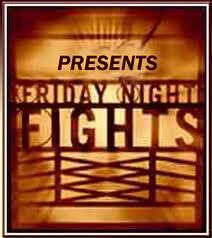 Friday night fights: Women’s Boxing Results! Melissa McMorrow, 2009, Photo: Mario Cabera, Jr. The New York State Women’s Flyweight Title went to Melissa McMorrow (5-2-3) in a split decision over Eileen Olsezwski (7-3-2). The fight was the co-feature at the Cordon Bleu in Woodhaven, Queens on Friday night (6/24) with the judges scoring the bout 78-74 McMorrow, 78-74 Olsezwski and 79-93 McMorrow. It should be noted that Olsewski, the women’s WIBA and GBU title holder retained her titles as the bout was not a santioned championship fight for those titles. McMorrow lost her previous fight to Gleason’s own Keisher Mcleod-Wells in a squeaker. 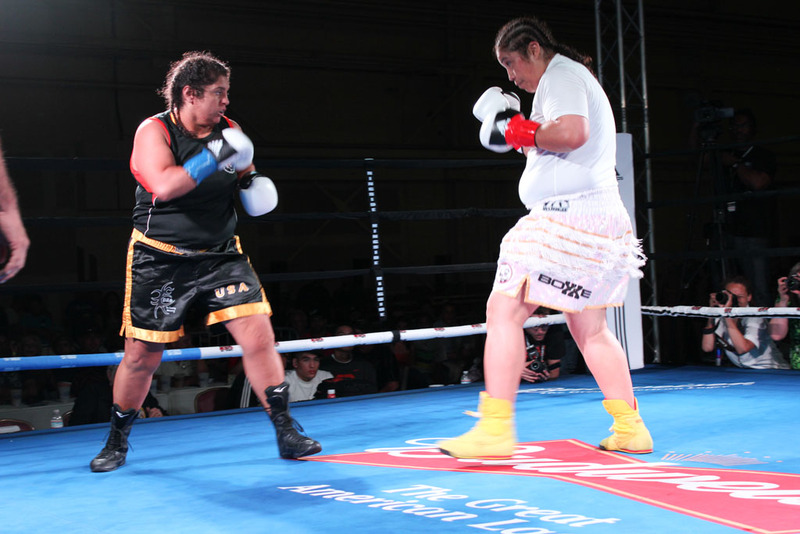 At the Shaw Conference Centre in Edmonton, Canada, Gleason’s own Melissa “Huracan” Hernandez (15-2-3, 5-KO’s) was a last-minute opponant against boxer Jelena Mrdjenovich (24-8-1, 12 KO’s), but that didn’t stop her! Hernandez took the fight with a split decision. Mrdjenovich’s original oponnent was Bosnia’s Irma Balijagic Adler in what had been promoted as a WIBA featherweight title headliner on KO Boxing’s seven-bout No Turning Back card. 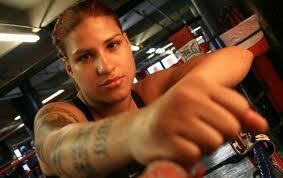 Adler was scratched from the fight on Wednesday after she tested positive for hepatitis B.